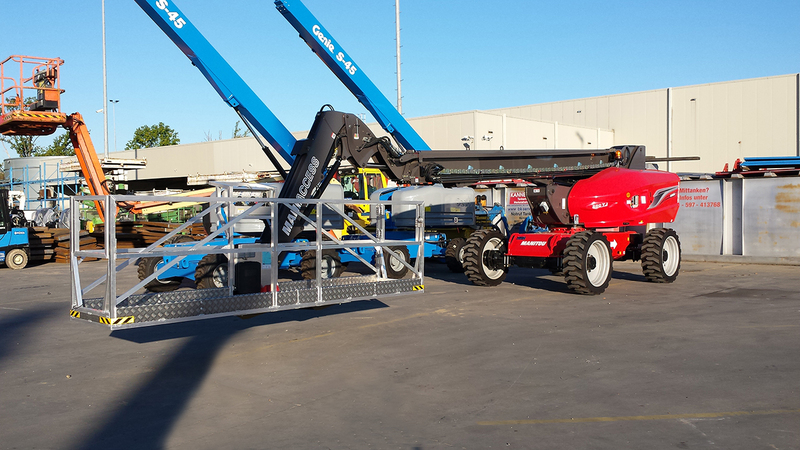 The SPS E-series lift is an environmental-friendly JLG-lift of the same type and specification. No particulate filter is needed to prohibit the emission of exhaust-gasses. Another positive environmental related topic is that refilling of fuel is not needed anymore. So during refilling frequently spoiling of fuel belongs to the past. Only a 400 Volts power-connection is needed to re-charge the lift after work. Besides environmental benefits, the noise-emission is also positively influenced. The same lift with an combustion engine has a maximum sound-level of 104 dBa. The maximum sound-level of the SPS lift is at maximum 78 dBa and on 10 meters from the center this is even reduced to about 55 dBa. All this benefits are presented, without reducing the performances in regard to the lift, equipped with a combustion engine. Besides this you're not depended anymore on fluctuating fuel-prices, so the costs for exploitation are easier to forecast. This is also positively influenced by the limited necessarily maintenance on the electric system. 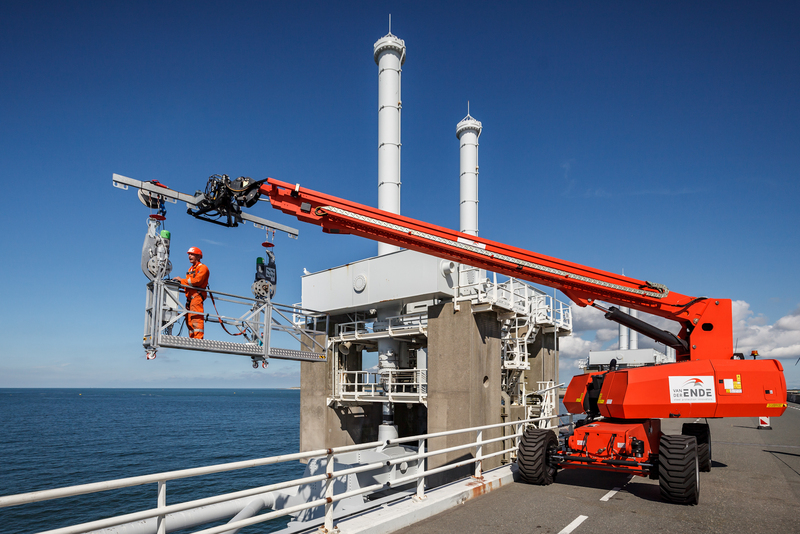 The SPS MSP-Series is developed out of the functions of a boom-lift and a self-climbing suspended access platform. The working-envelope is extended below ground-level and makes reaching difficult locations available. 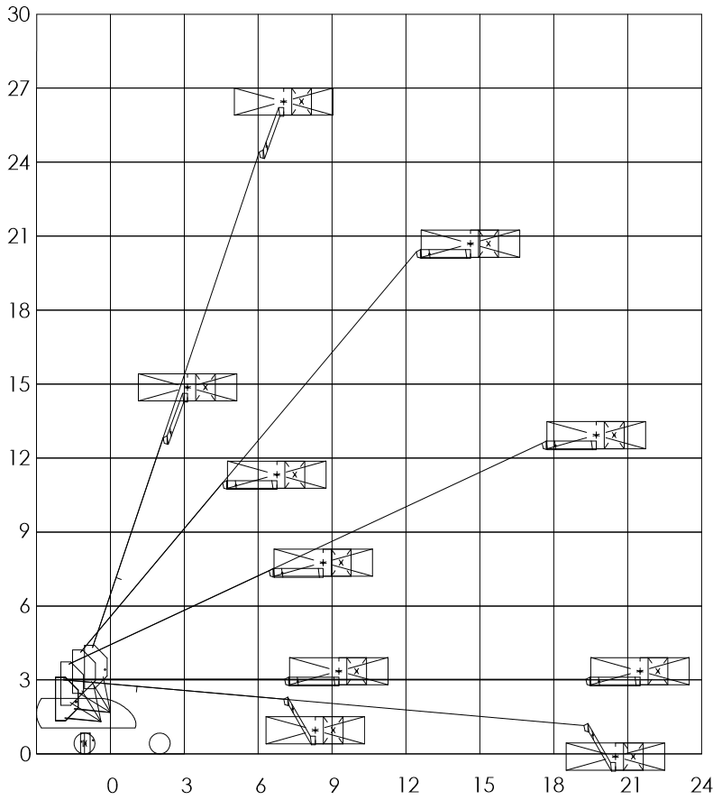 Another advantage is the easy way to make vertical movements of the platform by only operating one function. On top of this, a diversity of gondola-configurations is available by using modular segments. 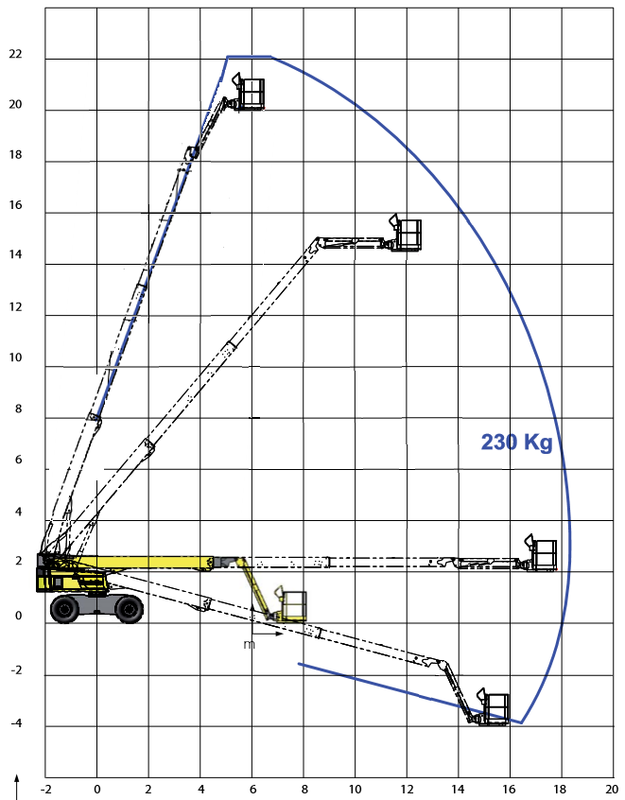 The gondola is equiped with 2 self climbing hoists with a secondary device and cable reels, which are fully in compliance with the European standard EN1808. All normal machine operations can be operated from the gondola. Because of safety issues, steering and driving is only available if the gondola is in the upper outmost position. Also 230 Volts DC is available at the gondola. The SPS P-Series lifts are equiped with a wider basket; the standard platform is replaced by a 4 meter (13,1 ft) and sometimes 5 meter (16,4) alloy platform with the almost the same SWL compared to the standard machine. The SPS lifts are extremely suitable for mounting, cleaning and maintenance of large surfaces, because the number of machines and/or machine-movements are reduced. 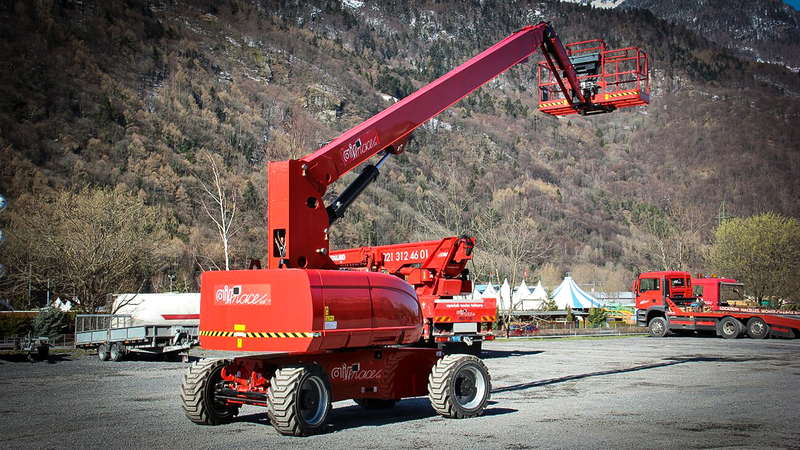 All SPS platforms are based on the A-brand lifts of JLG, Genie, Haulotte of Manitou. The conversion is carried out by reputable companies.